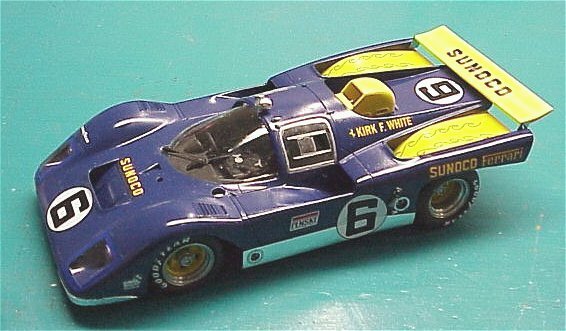 Model was built as the car appeared at Daytona in 1971. I scratchbuilt the sliding door windows and an extra “Indy style” fuel filler. Tail lights and running lights were recast in clear resin and then tinted. Blue decal stripes used to represent racers tape around headlight covers. Airbrushed MCW Sunoco blue.